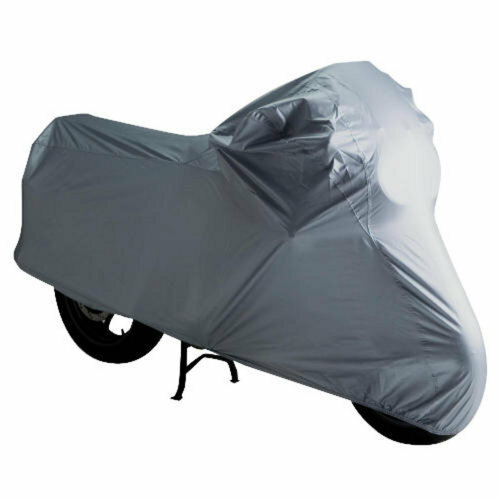 Backed by our rich industrial experience and exposure in this domain, we are devotedly involved in presenting wide assortment of Cover for Bike. These covers are designed by employing pure quality of fabric and upgraded tools in compliance with the assorted fashion trends. Clients can avail these covers from us in a variety of sizes and designs to suit their requirements and needs. Moreover, our clients can avail these covers from us at nominal rates. Our organization, Annapurna Enterprise was founded in the wake of the year 1992 as a colossal trading, manufacturing and supplying organization for Tarpaulin Poly Bags certified under ISO 9001:2008. Over the past two decades, we have managed to supply our clients with a line of unfaltering products including Woven Fabrics, Flour Bags and HM HDPE Bags amongst a variety of products. Each product that we manufacture is designed to be sturdy, heavy duty and waterproof. All the final products that leave our organization are tested and assured for quality before reaching the client. Our clients can avail our products within short notice periods as per their convenience of use. We make stringent efforts to provide each client with customized solutions to their pertaining needs by maintaining consistent communication. Our endeavor remains to achieve fruitful business relations backed by a promise of trust and deliverance. We have developed a state of the art infrastructural base within our organization to aide in the regular production requirements for a successful business. Our manufacturing division uses all the supreme quality raw materials including polymers and plastics obtained through trusted vendors to construct impeccable products using various chemical and mechanical processes. Our exceptional products then pass through a quality testing procedure after which we forward them to the packaging and logistics section. Our products are further labeled according to the demands of the client and sent off for shipping through our swift and efficient delivery services for our clients to avail.